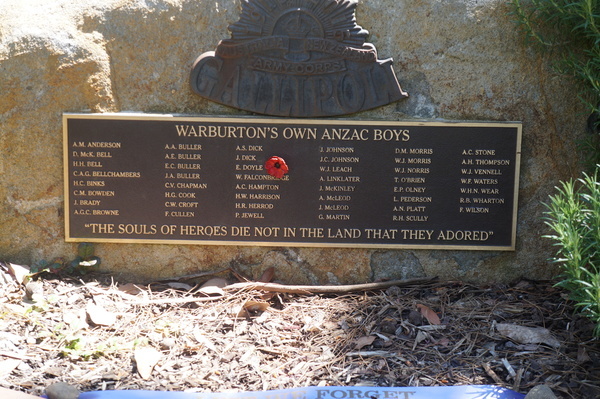 On Remembrance Day, Warburton RSL opened ‘The Peace Garden,’ situated at the riverside clubhouse. 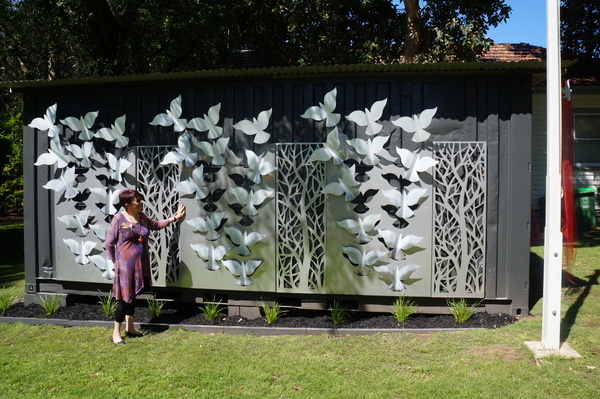 Garden designer and club treasurer, Coral Reynolds gained her inspiration from a C.J. Denis poem, Green Walls, which he composed about the tall gums in his Toolangi garden. 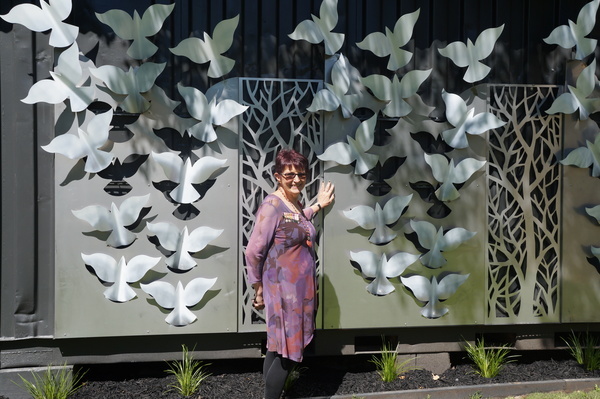 The memorial wall features 47 birds of peace, one for each Warburton man killed in the first world war and whose names are honoured on an nearby plaque. 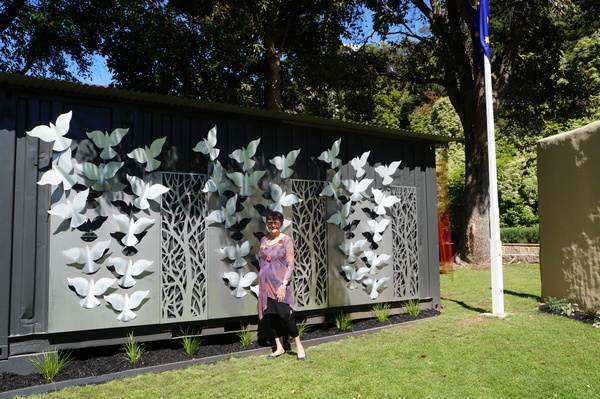 Australian Peacekeeping Forces, who have served in so many places around the world with little recognition, are also honoured in the garden. “We hope these people get an opportunity to visit our garden and that it brings peace to them,” Ms Reynolds said. 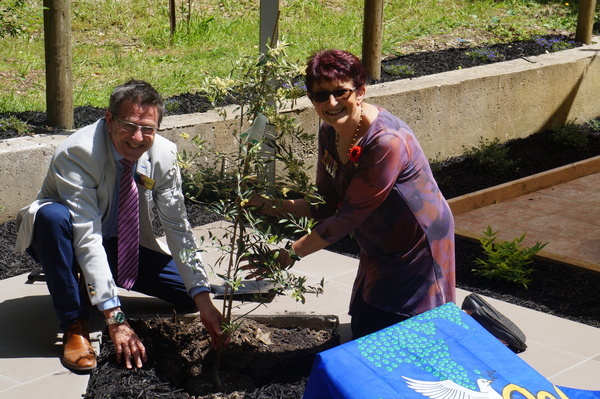 An olive tree was planted in recognition of their service. A third element is the garden entrance, named the path to peace. 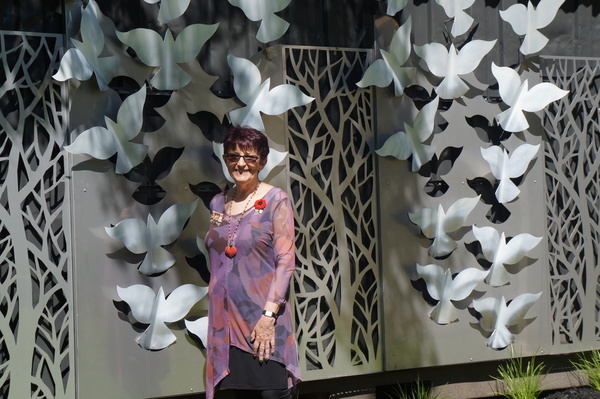 “We hope everyone who comes to our garden finds peace in a place to reflect, relax, remember and give thanks to all who have served to enable us to live in peace,” she said.